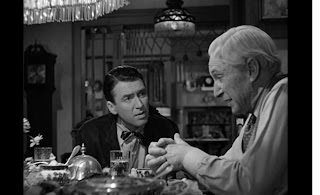 Home is a critical theme in It's a Wonderful Life. Home crosses all veins of this film. 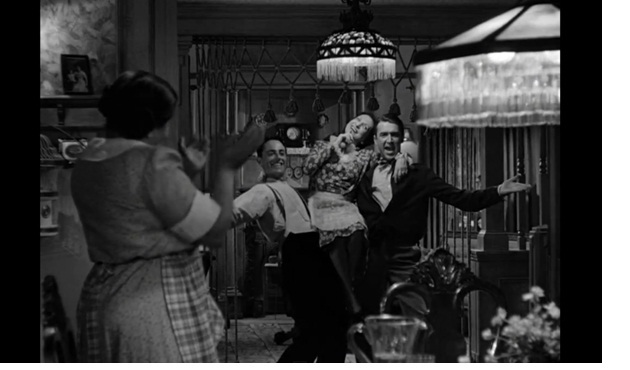 Home can be seen in the film's portrayal of family, and George's relationship with them. Home is a town, it's where we work, sleep, play, drive, and walk. 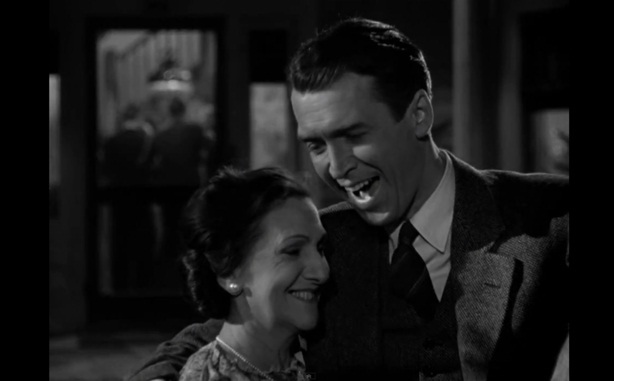 It's Bedford Falls. Home, at least our ultimate home (hopefully ;) might be heaven, and its' plan and activity is seen by our witnessing Clarence's story. Home is of course where we we live, it's the building were we reside. Too put it better it's where "a couple of decent rooms and a bath". 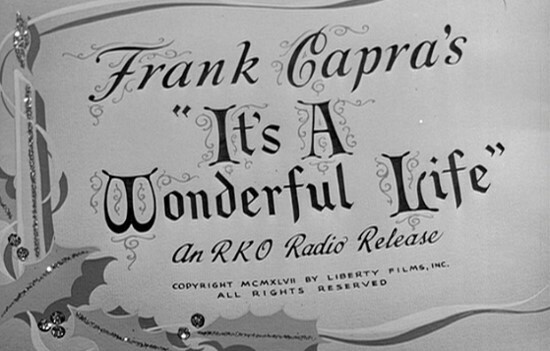 Home in It's a Wonderful life is of course located at a specific address. 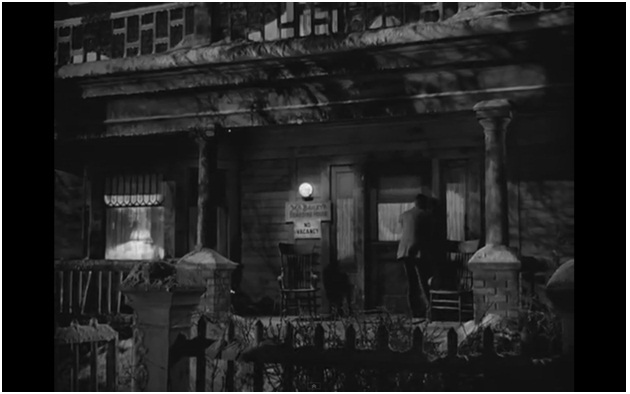 It's 320 Sycamore street, Bedford Falls. It's on the cover of many versions of the movies VHS and DVD covers. It's also the first building of the first series from the Enesco village. Yet, it's not George's first home. His first home is the Bailey home, the home of Mr. and Mrs Peter Bailey and their two sons. George calls the place 'home' when he answers Harry arriving at the train station inquire about their mother. "She's home, cooking the fatted calf" She of course, is Ma Bailey, played by the great Beulah Bondi. Besides being a fellow Hoosier, Beulah has the nice distinction to be known as Jimmy Stewart's onscreen mom because she played his mother four times! Including in the great Mr. Smith goes to Washington by Capra. 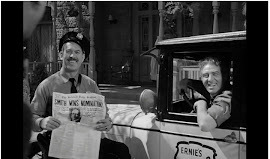 Bondi also stared in two other movies that I love and highly recommend to people who have taste good enough to enjoy and cherish It's a Wonderful Life. She's in a 1937 film along side Lionel Barrymore titled The Gorgeous Hussy. For those with a taste for purely classic CHRISTmas movies she's also mother in the hidden (although finally getting some attention) gem of Remember the Night with Fred MacMurray and Barbara Stanwyck. It's "in the old Bailey Boarding House" that we see George excited about his last meal before finally running off to see the world. Instead it becomes the last night he's see his father, but mercifully is able to share with his father one of my favorite scenes of the movie. It's when his dad gets to sum up what is his and then becomes George's life message and George is able to respond with his famous and apparently overdue line of "I think you're a great guy". We see that it's right after the marriage reception of Harry and Ruth, George direct Uncle Billy home after one too many drinks. Fans of the series also probably know about the loud crash sound was actually Thomas Mitchel really stumbling into some on set trash cans. It's also here that we see Ma Bailey provide the much needed encouragement and inspiration for George to find his way over to Mary's house. Another look at the angle of the stairwell in the house. This time after George and Marry tie the knot.Before they come down the stairs we see the home decorated with flowers. 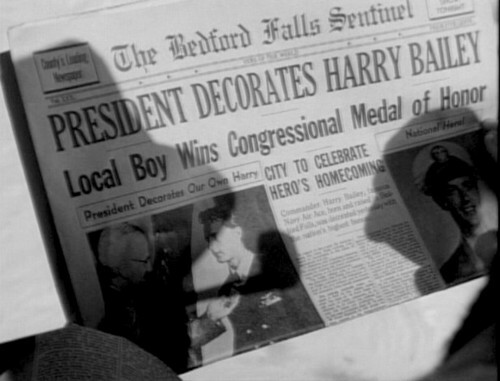 Likely purchased at the Bedford Falls Florist shop we've already seen. 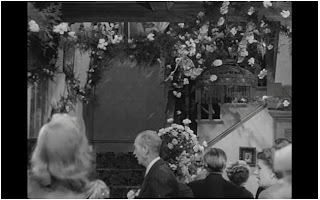 We see some more of the exterior later on, but as the scenes are in the world without George we don't know how accurate they are to what the real George filled Bedford Falls dimension would have. It's here that we see that without George Ma Bailey's house would have indeed just become a dark and cramped looking boarding house. It's interesting that the village pices goes by the name more closely resembling what the place came to be called if George was never born rather than some more cheerful like Mr.and Mrs Bailey's home. 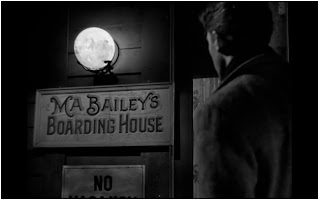 It might just be me, but when I hear Ma Bailey's house I just think of George standing at the porch reading the signage on his childhood home. Thankfully, the Enesco Village is of happier times and is full of color and life. The Enesco pieces is from the 2nd series and is #1 of 4 in that lot. Starting with the box, here is the piece. Enesco Ma Bailey's House Cert. The building is nice as it's color stands out more than some of the others. The fence around the front adds some nice details and the building has a ton of windows. I put this one near some of the other homes, like the Hatch house for example. Enesco Ma Bailey's House: Side windows. Enesco Ma Bailey's House: Roof , completely snow covered. And finally, with the lights off and with the building lights on. This one 'glows' a lot more than some of the others which I like although I can see some people not due it being so bright. I think it might be the yellow tint of the siding. The small windows make for a nice reflective patter though. Bailey Brothers [carrying Ma Bailey] - "Here's a present for you, Pop"
Ma Bailey- "Oh, you two idiots!" 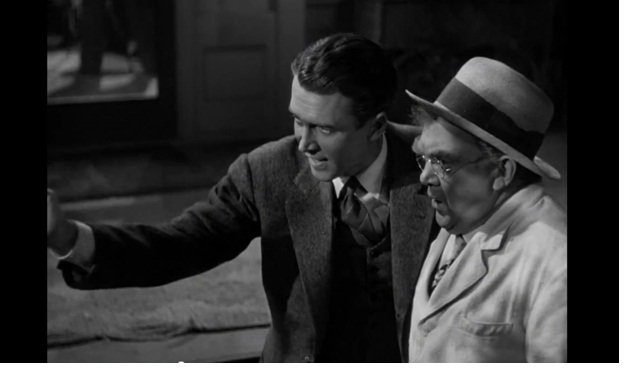 George Bailey - "Mother, you know, I can see right through you –– right back to your back collarbutton . . . trying to get rid of me, huh?" George Bailey - "Well, here's your hat, what's your hurry? All right, Mother, old Building and Loan pal, I think I'll go out and find a girl and do a little passionate necking"